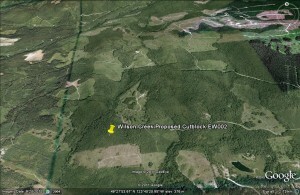 Wilson Creek Forest is situated on the lower slopes of Mt Elphinstone a short 10 minute drive from the Hwy 101 intersection at Roberts Creek. It sits directly above the Wilson Creek Plaza. As these pictures show it is one of the few remaining intact forests close to an urban center. 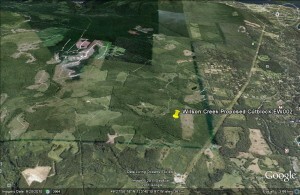 It is an Inter-Urban Forest never before logged. It contains many old-growth features, including beautiful stands of tall, old Coastal Douglas-firs. The Wilson Creek Forest is on the books of Sunshine Coast Community Forests (SCCF) to be logged. A stay of execution was ordered until further studies are undertaken. 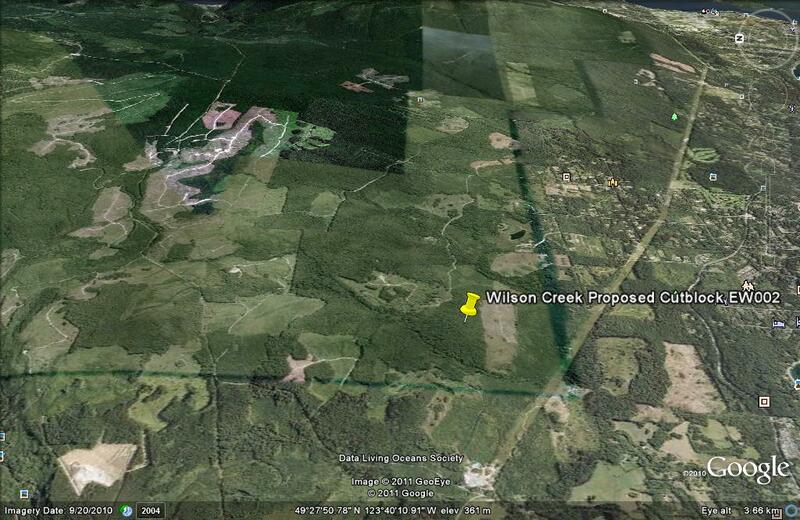 Directly below this forest is an 2010 Island Timberlands clearcut, and above it are a series of BCTS blocks. If this patch of forest was allowed to be logged, it would link up clear-cuts to the north and south, creating a massive logged out area. The Wilson Creek Watershed has experienced 50-60% forest cover loss which should trigger a moratorium on all future logging. Over logged watersheds are known to lead to wild fluctuations in water flow levels which leads to bank instability, increased sediment levels and because Wilson Creek is a salmon bearing stream it all adds up to a negative forecast for salmon spawning conditions which requires stable water flow and sediment levels.